We offer two sessions of programs during the school year. Fall classes run September-February and Spring Classes run February-June. 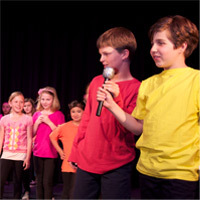 Main Stage Performance Company: (Grades 5-9) Wednesday 4-5:30PM Main Stage Company will be opening on waitlist basis. Once an opening is available, the applications will be processed on first come, first serve bases. Waitlist here. 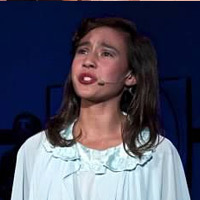 The Main Stage Performance Company offers children from grades 5-9 with some theatre experience the opportunity to perform in a full scale Broadway Musical! The Directors and students spend the first three weeks of rehearsals learning about the musical, its characters and music to prepare for auditions. Students have the opportunity to review the script and decide what role(s) they wish to pursue. Auditions and callbacks are held after 3-4 weeks of rehearsals, and everyone is cast in a role. 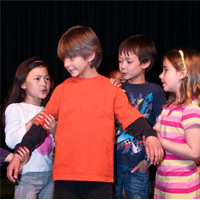 Rehearsals include instruction in Singing, Acting and Dance in preparation for performance. *Weekly Wednesday 4-5:30 PM rehearsals, in addition to other rehearsals, as necessary, are mandatory. There are some Sunday rehearsals that are required for all cast members. Cost: $750 with volunteer hours / $900 without volunteer hours – cost of Main Stage tuition includes special keepsakes from the production. The Gotta Sing, Gotta Dance classes offer our youngest students an introduction to all that Theatre performance has to offer. Instruction includes Theatre Games, Improv as well as Song and Dance excerpts from a Broadway musical. The class will culminate in an end-of-the-season open class showing. We are thrilled to announce our newest program, The Cabaret Company! This brand new performance company for students in grades 6-10 will be lead by our new Associate Director, Michelle Shannon. It will focus on “cabaret style” performance and technique, including learning stage presence, interpreting a song, storytelling, and humor to build a connection with the audience. Performances January 18-20 at The Randall Museum Theatre. Your donation allows MTW to offer programs at their highest level and provide financial assistance to talented and motivated students from a wide range of backgrounds. Donate now by clicking on the yellow donate button below.